The Duchess passes under the Three Sisters bridges, seen from the Gateway Clipper’s Brunch Cruise on board The Empress. It’s not hard to find Sunday brunch options in Pittsburgh—from a stack of pancakes to farm fresh eggs and bacon—but finding something out of the ordinary can be more of a challenge. So brunch on a boat is a welcome addition to the local dining scene—or, more appropriately, a welcome return. 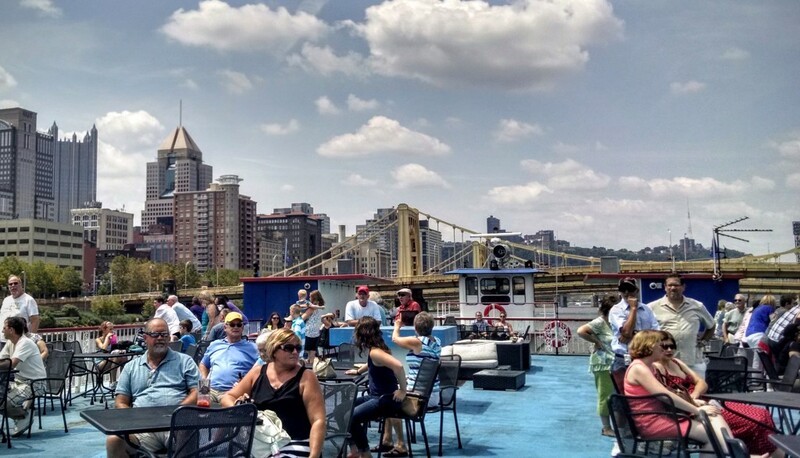 From July, the Gateway Clipper revived its Sunday Brunch Cruise, offering monthly cruises through summer and fall featuring a brunch and dessert buffet, along with a 90-minute sightseeing cruise of the three rivers. 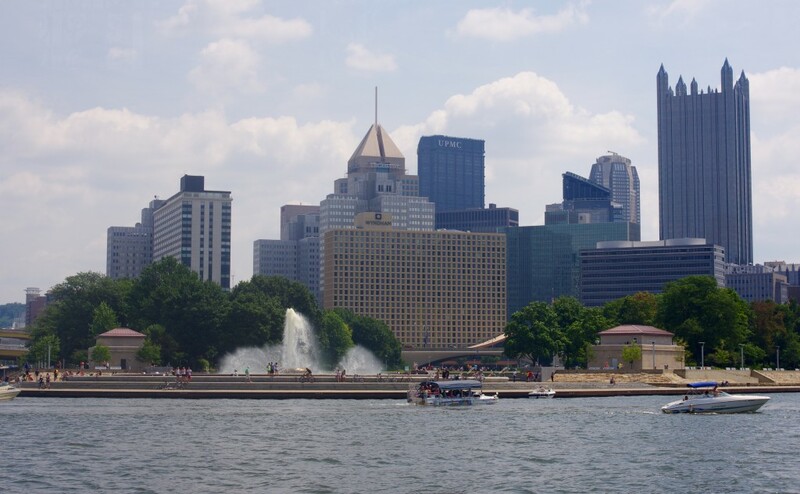 The Sunday Brunch Cruise offers 90 minutes of sightseeing of Pittsburgh landmarks, such as Point State Park. The brunch cruise was once a popular weekly feature of the Gateway Clipper’s summer schedule, says marketing director Suzanne Krug, but went into decline five to seven years ago. “It used to be a really big thing in Pittsburgh, all the hotels had a Sunday brunch and all restaurants had a Sunday brunch,” she says. But lately, customers have been asking for brunch again, and the Gateway Clipper tested the waters with holiday brunches, offering a special Mother’s Day and Father’s Day brunch cruise, before adding a regular Sunday brunch back to the schedule. The brunch buffet and two-deck dining area on board the Empress. The revival began on Sunday, July 26, with the first of four brunch cruises during the summer and fall. The dining area of The Empress, the largest boat in the Gateway Clipper fleet (and actually a barge pushed by a tugboat), was about three-quarters full for the first brunch cruise of the season. 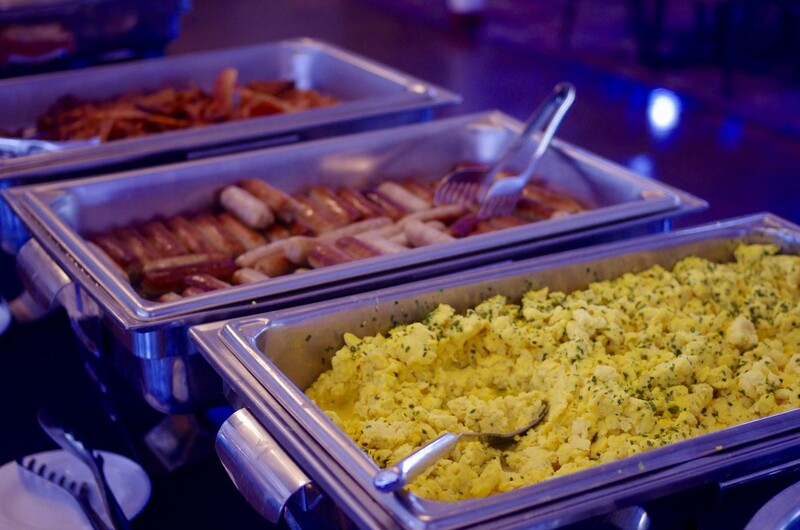 Menu options include brunch staples, such as scrambled eggs, bacon, sausages, breakfast potatoes, French toast, and blueberry pancakes. The buffet also features salads, rice, chicken breast, yellowtail sole, and a carving station with Virginia baked ham. Cookies, cakes and fruit were offered for dessert. The buffet on the Gateway Clipper Brunch Cruise included traditional breakfast fare as well as hot ham, vegetables, salads, pancakes and French toast. 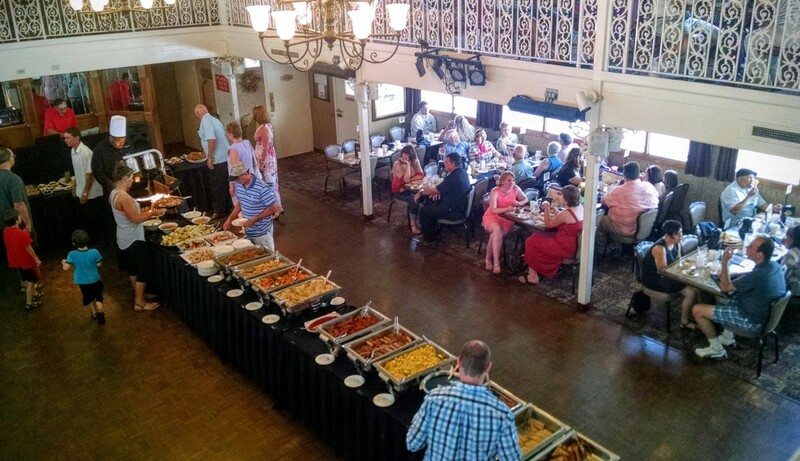 The buffet was ready and busy with diners from the 11 a.m. boarding time, with most choosing to eat before the cruising began at noon, then move to the upper deck for the best view. The ticket price includes coffee and water only, with all other drinks additional, and with the temperature in the high 80s, many trips from the sightseeing deck back down to the bar were needed to keep thirst at bay on the hot upper deck. Sightseeing from the top deck after brunch. 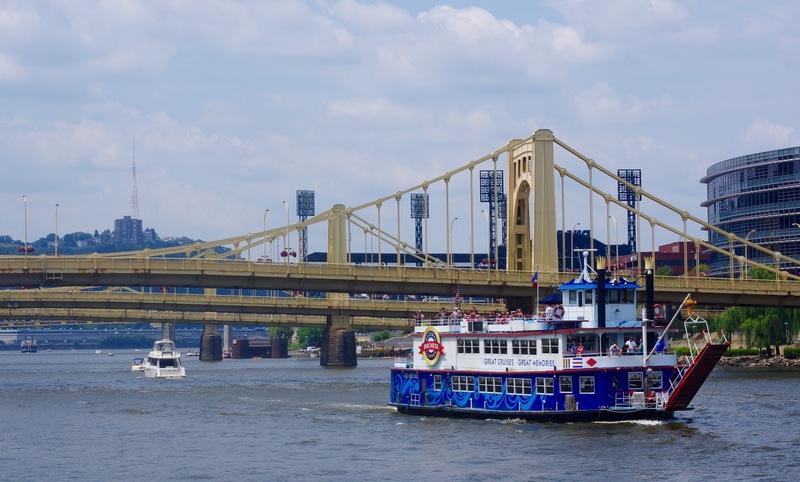 On a summery Sunday with the Pirates playing at home, the rivers were busy with pleasure boats and ferries taking fans to PNC Park. The Empress offered a unique view of both the action on the water and the city’s landmarks — the bridges, inclines, sports stadiums, convention center, and Point State Park. 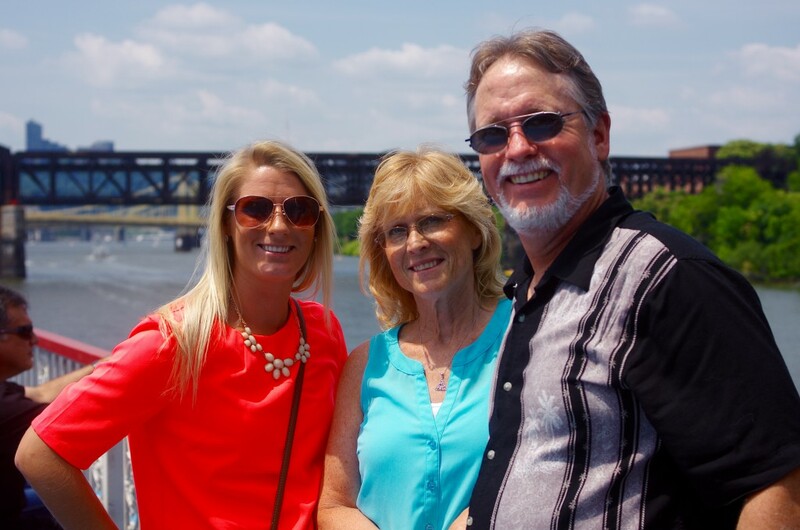 We cruised on all three rivers, accompanied by commentary from the captain about the sights and history of the city — and even the born-and-bred Pittsburghers on board admitted they learned a few new facts from the city’s past. Enjoying the view from the third deck of The Empress, from left, Colleen, Pam and Tom Zysk. Ninety minutes was a perfect cruising time — long enough to relax, enjoy the view, and indulge in a couple of trips to the dessert buffet. 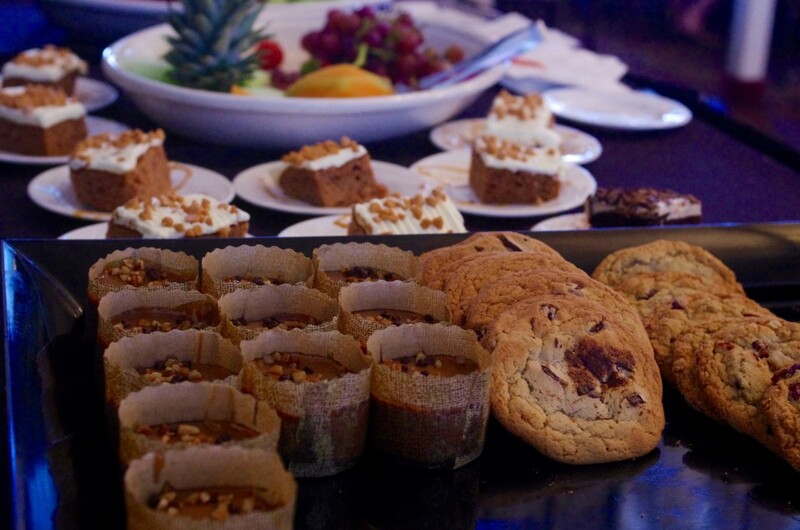 Dessert buffet options included cookies, cake and fruit. And after soaking up that much sunshine, there was really no other option but to follow the cruise with a Sunday afternoon nap. Sunday Brunch cruises are held on Sunday, August 16; Sunday, September 13; and Sunday, October 11. Prices for the brunch and cruise are: Adults $32, children $16, 5 and under $5.Tickets are available from Gateway Clipper. Heather McCracken is a Pittsburgh freelance writer.